The Gulf Centre for Human Rights (GCHR) calls on the United Arab Emirates (UAE) government to fully implements recommendations made during its third United Nations Universal Periodic Review (UPR). The Working Group on the UPR held its third review of the UAE’s human rights record during its 29th Session held in Geneva between 15 and 26 January 2018. During the review, 97 countries submitted written statements with 232 recommendations and the UAE government made a number of voluntary pledges. The UAE promised to examine 230 of the recommendations and noted two of them related to the ongoing diplomatic crisis with Qatar. Since the UAE’s last UPR in 2013, GCHR and other human rights organisations have documented a severe decline with respect to the fundamental freedoms of expression, association, and assembly in the country. Dozens of UAE nationals, including human rights defenders, bloggers, activists, lawyers, academics, and judges who have spoken out about human rights issues or have called for greater political rights in the country have faced arbitrary detention, long-term solitary confinement, torture and other ill-treatment, and long prison sentences imposed after unfair trials. They include prominent economist and academic Dr. Nasser Bin Ghaith who was arrested in August 2015 and then forcibly disappeared for 19 months before being put on trial and sentenced to 10 years’ imprisonment on charges that included his peaceful criticism on the authorities and his meetings with political activists. Arbitrary detention, enforced disappearance, torture and unfair trials have become routine in cases involving political prisoners. Human rights defender and on-line activist Osama Al-Najjar is currently being arbitrarily detained in prison even though he was scheduled for release in March 2017, after serving a three-year prison sentence for his peaceful activities. In January 2017, Al-Najjar was transferred to the Counselling Centre in Al-Razeen Prison – a maximum-security jail in Abu Dhabi – after the State Security Chamber of the Federal Supreme Court used the repressive and far-reaching counterterror law to extend his detention on the pretext that he is a “threat” to national security. The authorities have failed to specify the term of his arbitrary and unlawful detention, which constitutes a flagrant breach of Al-Najjar’s human rights. The country’s State Security body also continues to subject government critics, human rights defenders, and dissidents to prolonged periods of enforced disappearance during pre-trial detention in secret detention facilities where torture and other ill-treatment are rampant. Torture is often used in such facilities to extract “confessions” that are later used in court as evidence of defendants’ guilt to convict them in unfair trials. Although the UAE government acceded to the Convention Against Torture (CAT) in 2012, it has failed to ratify the Option Protocol to the Convention and has issued a number of reservations and declarations to limit the scope of the definition of “torture” and express the UAE’s position that it does not recognize the competence of the Committee against Torture. GCHR’s Advisory Board member Ahmed Mansoor, a distinguished human rights defender who received the prestigious Martin Ennals Award for Human Rights Defenders in 2015, has been held in solitary confinement without access to his lawyer or regular contact with his family since his arrest on 20 March 2017. The UAE authorities have said in their public statements that Mansoor is facing speech-related charges that include using social media websites to “publish false information that harms national unity.” Mansoor had used his Twitter account to raise concerns about human rights abuses in the UAE and across the Middle East and North Africa region and to call for the release of Emirati activists including Osama Al-Najjar and Dr. Nasser bin Ghaith. As a result of his selfless and tireless efforts to defend the rights of Emirati nationals and migrants in the UAE, he had become the object of years of government harassment and persecution, having previously spent eight months in prison in 2011 because of his peaceful human rights activities. 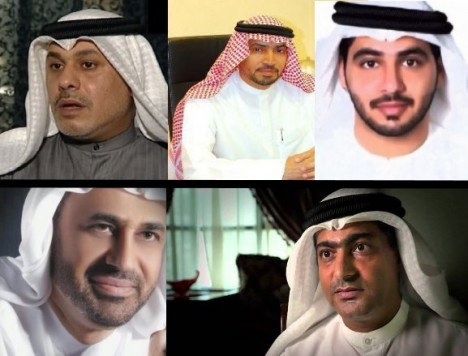 Other human rights defenders who are continuing to serve lengthy prison sentences following grossly unfair trials include human rights lawyers Dr. Mohammed Al-Roken and Dr. Mohammed Al-Mansoori, who were both sentenced to 10 years’ imprisonment in a mass trial known as the UAE94 which took place in 2013 for their outspoken support for human rights and after signing a petition which called for universal suffrage in the UAE. Despite its commitments made during the first cycle of the UPR, the UAE has still not established a national human rights institution in accordance with the principles relating to the status of national institutions for the promotion and protection of human rights (the Paris Principles). Several treaty bodies and the Special Rapporteur on the independence of judges and lawyers have recommended that the UAE establish a national human rights institution in accordance with the Paris Principles. During the UAE’s recent UPR review, numerous states including Germany, France, Ghana, Greece, Tunisia, Georgia, Nepal, Republic of Korea, Senegal, Uruguay, and Timor-Leste also made this recommendation. Create an independent national human rights institution that complies with the requirements set out under the Paris Principles.